Nyakuel Ruach and her family have been attending Rehoboth for almost 10 years. Nyakuel was born in Sudan and attended high school in Ethiopia before coming to the United States, where she attended Georgia Perimeter College in Clarkston. Nyakuel now works as a hairdresser. Sunday is quiet and likes to spend time to herself. She is looking forward to college. One of Sunday’s favorite things about Rehoboth is that Ms. Kim is always helpful and Sunday can talk to her about anything. She shows her love for Jesus by worshiping Him. Nyarout enjoys singing and learning new things. She hopes to go sky diving one day! 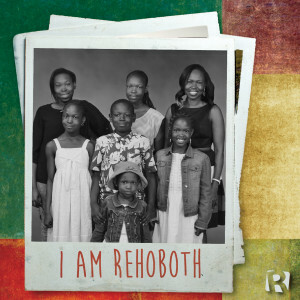 She likes the people at Rehoboth and shows her love for Jesus by worshiping Him and learning new things about Him. Burjuok likes practicing gymnastics; at school, she enjoys math, learning, and spending time with friends. She is exciting about going to the beach with her friends and visiting her family soon. Her favorite things about church are learning about God and reading the Bible. Dingkar likes to go to iCrave (Rehoboth’s student ministry). He enjoys the games they play during Bible Fellowship and likes to listen to music during the worship services. He shows Jesus he loves Him by praying. Frances plays musical instruments for fun. Her favorite subject in school is math. She really enjoyed VBS this summer! Frances shows Jesus she loves Him by worshiping Him. Nyakuma is not in school yet. She loves to play, every chance she gets! Nyakuma’s favorite thing about church is learning to sing and play music during Rehoboth Kids.